For years, I have always cooked my green vegetables the “Chinese way” aka stir-frying and now the occasional braising. I have been trying to branch out lately with roasting and other techniques that basically are not so overly dependent on soy sauce and/or oyster sauce for flavor. 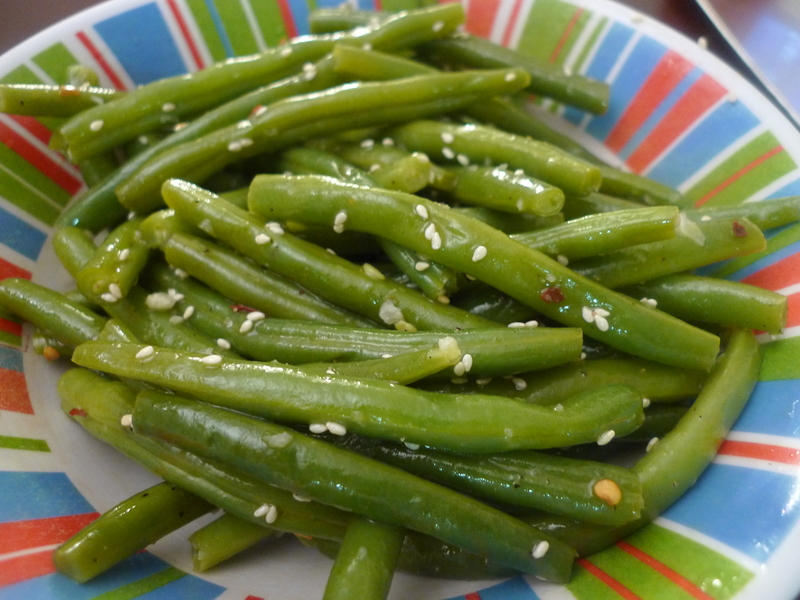 I came across this simple recipe for a Green Bean Sesame Salad and I loved the refreshing, citrus flavors. This, along with my favorite zesty Marinated Mushrooms, are great chilled dishes that are perfect for gatherings. In a saucepan, cover beans with water; cook until crisp-tender. Drain and rinse in cold water; place in a serving bowl. Sprinkle with remaining ingredients; toss to coat. Serve at room temperature.